I love shadow pictures. Sometimes you take one by accident, and other times, they are intentional. 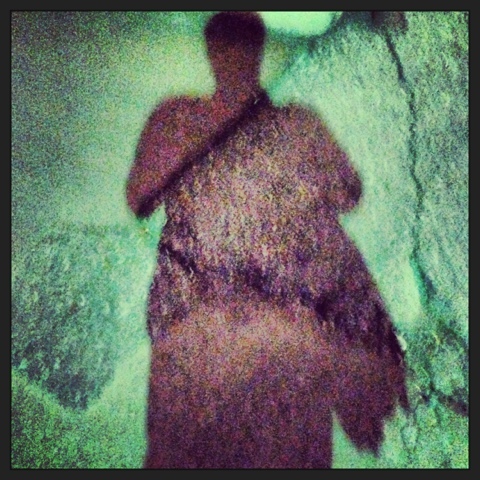 I've been doing shadow photos for years now - very much intentional. Before I knew it, I had a collection of new photos on my iPhone from the past few months. Santa Fe, New Mexico - actually taken on a Wednesday! The above photo was quiet accidental in that I was taking photos of other things and then I noticed the play of light, colours and my shadow. A little Instagram filtering and voila! this image. 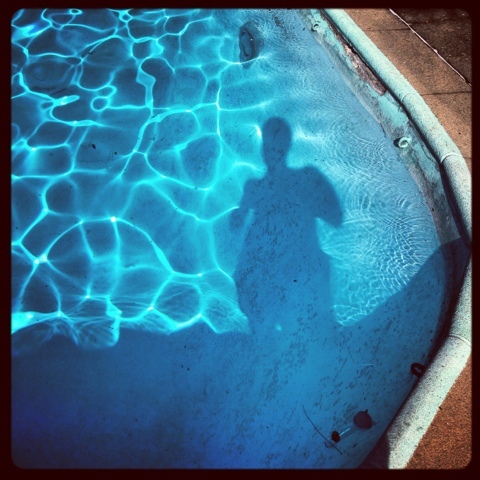 Pool Shadows are always so fun because the light in the water creates such psychedelic shapes and images. This shadow photo was captured because I had been trying to photograph a group of frogs that were in the pool. 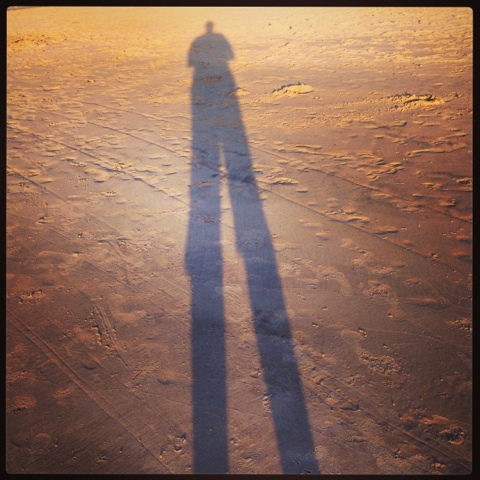 When I saw my shadow and realized it looked long and lean instead of short and dumpy or long and fat, I knew I needed to capture the image. Walking to work from North Broad Street in August. I was wearing my new white fedora hat because that night was the Diner en Blanc Philadelphia party. I love all the black and white, the street and the marbled nature of the asphalt. 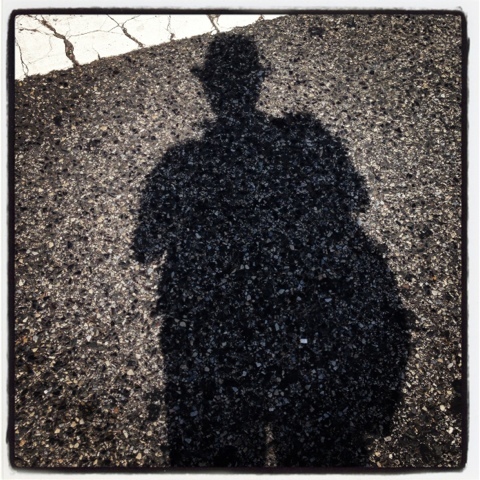 The jaunty angle of my hat is also especially appealing! 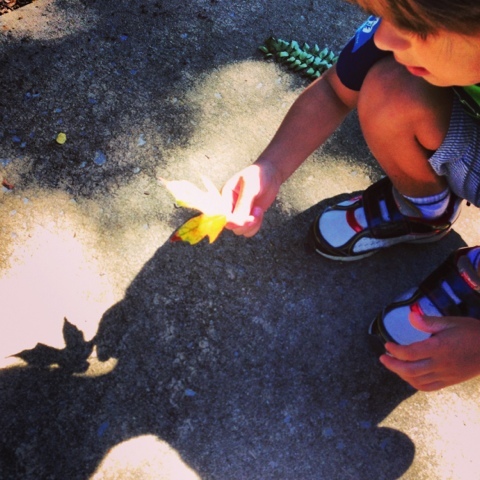 Nate was so cute finding the first fall leaf of the season. He was exclaiming what pretty colours. As I was trying to photograph him with the leaf, I caught his shadow in the photo. Again, the interplay of shapes, lines, and colours intrigued me.